Perfect for parties or as a gift. Melt the chocolate in a bain-marie and dip the end of the lollipop sticks into it. Insert the covered end of the sticks into the cake pop balls and leave to cool for a few minutes. 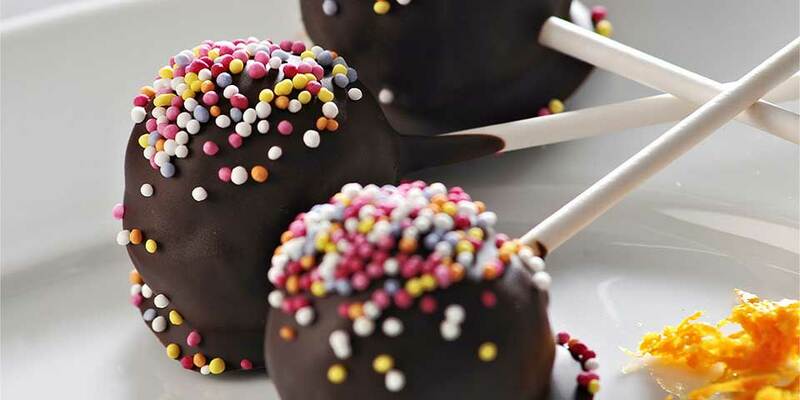 Once firm, dip the cake pop into the chocolate ensuring the cake pop is covered and gently tap the stick to remove any excess coating. Place the top half of the cake pop mould onto a level work surface, push the cake pop sticks firmly into the holes on top of the mould and allow the chocolate to cool for a few minutes.